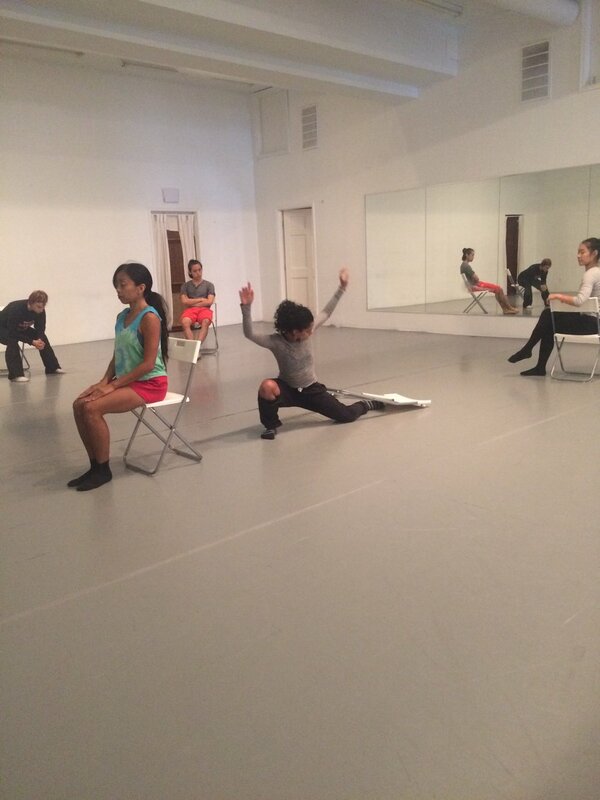 As mentioned in previous scoops, Kun-Yang Lin/Dancers is currently working on two pieces, HOME/S. 9th St. (a.ka. Home) and Santuario (a.k.a Sanctuary). HOME/S. 9th St. had its world premiere on November 19, 2015 at FringeArts and is being revisited with a new cast for an upcoming performance at Kaatsbaan International Dance Center on November 12th. For more details click HERE. Santuario will have its world premiere on April 27, 2017 at the Prince Theater as part of the company's 2017 home season. In between the premieres of these two pieces, Kun-Yang also presented three new works- Dreamscape, MOMENT/s and Vertigo as part of KYL/D's first home season at the Prince Theater in April 2016. Sanctuary and Home are different in terms of intention. While both pieces reflect the socio-political climate of the U.S., Sanctuary focuses more on sexuality, gender identification, and religion, while Home concentrates on the immigrant experience. The works are also similar in terms of investigating the concept of identity as well as the balance of individual v. collective. As well, the intensity and movement choices possess the same rigor as do all of Kun-Yang's work. I am personally captivated by both pieces as each succeeds in producing deep emotions that force the audience to question, discuss, and converse. Sanctuary and Home allow the viewer to have a unique ephemeral experience through choreography that provides different perspectives and interpretations of real events. The pieces are both works of art that contain historical context that guides the viewer into an internal reflection experience. As I continue to observe rehearsals, I can see that Kun-Yang aims to keep his pieces abstract and evoke a general emotion from the audience; however, there is always a story that inspires the movement. Kun-Yang values dance that transcends you into a different world which evokes questions and conversations about meaning and the unknown. Question/Problem: What movement choices should we make to get our intention across to the audience? Answer/Solution: A particular phrase of movement is nothing without intention/inspiration. The dynamic choices completely alter the way movement comes across to the audience. Choices in fluidity, clarity, speed and points in space all help form and create movement.